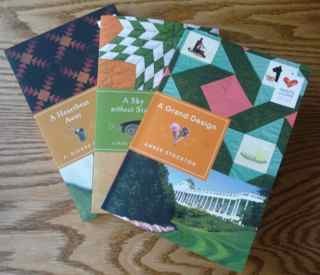 Jaye is the winner of the Quilts of Love giveaway! Jaye, I’ve emailed you asking for your shipping info so we’ll ship as soon as we have your address. Thanks to all who commented. I am having trouble making a purchase on your website store. Sorry – the server was down over the weekend but I noticed your name on a package that I dropped off at the post office so I’m assuming you were able to get through. Should you ever have a problem again, feel free to call us (708) 445-1817 and we’ll take your order over the phone. Sorry for the inconvenience. Jaye – Please email me your mailing address if you would like the books sent to you. ← Quilt Expo Madison and Quilts of Love Giveaway!